Karimunjawa is a 27 island archipelago in the Java sea and around 85km from the mainland town of Jepara. Reefs are primarily fringing and patch with good coral growth and marine life. Five of these islands are domestically inhabited and together with 22 others form four major zones; Zone I is the core sanctuary area and is out of bounds to all, Zone 2 is the wilderness area open to limited tourism, Zone 3 is the utilization area, Zone 4 is the buffer zone. 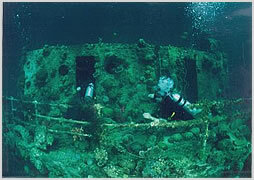 There are also wrecks here at the islands of Batu Kunci, Karang Kapal, Karang Ketel, and Batulawang. The islands of Menyawakan have been declared a national marine park and are protected. Diving varies from fringing reefs, atolls and wrecks, a good variety of species can be found including some rarer ones such as Crocodile fish and Leafy Scorpion fish. Drift diving is popular here as currents are often strong. There is also a small wreck to be found. The Mitra is an Indonesian freighter that was grounded on the reef by her captain in an effort to salvage the cargo. It failed and she sunk, now she is home to the inhabitants of the ocean. The Biblis is one of the few remaining wrecks in Asia with its bronze propeller in tact. Some big groupers patrol the coral encrusted structure and penetration is possible. Although probably the most famous wreck is that of the Indonur, a Dutch steamship that went down in 1963 after the captain mistook a fire on the beach for the lights of Semarang and hit the reef. With huge steel plates and riveted steam boilers playing home to all manner of reef fish this does make a great dive. 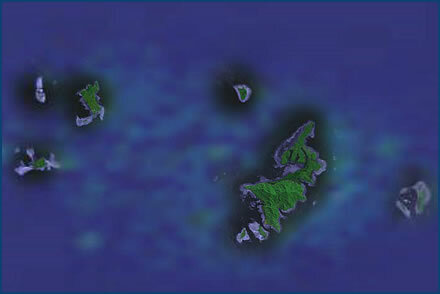 There are a number of submerged reefs around the islands such as Karang Kapal, Torpedo Reef and Ezdir Reef. 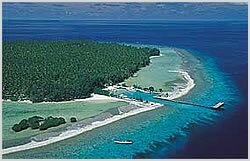 They all offer good coral growth and plenty of visitors such as bumphead parrotfish, jacks and the odd whitetip shark. Hawksbill point on Menyawakan island offers the opportunity to get closeup with these graceful marine turtles. Two islands of Krakal Kecil and Krakal Besar 20 minutes away offer a chance to see whale sharks if they are passing through. Getting there : Ferry from Semarang 3 hours.